I should remind readers that this was a personal survey, as the cabinet member with responsibility for such things. It was not on behalf of South Holland District Council. Q1. How important is a WEEKLY WASTE collection to you? Q2. How important is a WEEKLY RECYCLING collection to you? Q3. Would you be prepared to pay for a GREEN waste collection? Q4. Would you be unhappy if the council stopped providing BLACK refuse sacks? Q5. Would you be unhappy if the council reduced the number of GREEN recycling bags you could have? Q6. Would you recycle LESS if the number of green recycling bags you received was reduced? Q7. 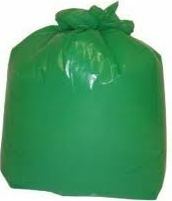 Would you recycle LESS if NO green bags were provided to you? Q8. Do you think most people use litter bins if they are provided? Q9. Which age group is the WORST for dropping litter? Some interesting results there but Gary would probably say not enough responses to be truly representative! Interesting results about green waste collections but I remain unconvinced that it is a good idea unless you could make a profit out of it to reinvest in other waste services! Personally I still think we should be encouraging people to think about the waste they produce and how they are then responsible for disposal rather than just expecting the Council to provide a collection service – paid for or not! Perhaps you should also have asked is would weekly collection still be important if the Council provided wheeled bins. Anyway, good stuff, well done!